NVIDIA has silently been working on their next-generation GeForce graphics cards and while we have seen the boards that would power the upcoming series, we still don’t have a confirmation regarding the naming convention of the new gaming lineup. However, if AdoredTV’s source is to be believed, then we are looking forward to an entirely new naming convention in which NVIDIA will be dropping their iconic “GTX” branding. So the post is nothing more than a rumor but given the latest NVIDIA trademarks, the new naming convention might just make sense to be introduced with the upcoming GeForce lineup. Recently, a couple of new names were trademarked by NVIDIA which include Quadro RTX, GeForce RTX and a range of VR names which references back to their Virtual Link technology that is expected to intro on the upcoming lineup. 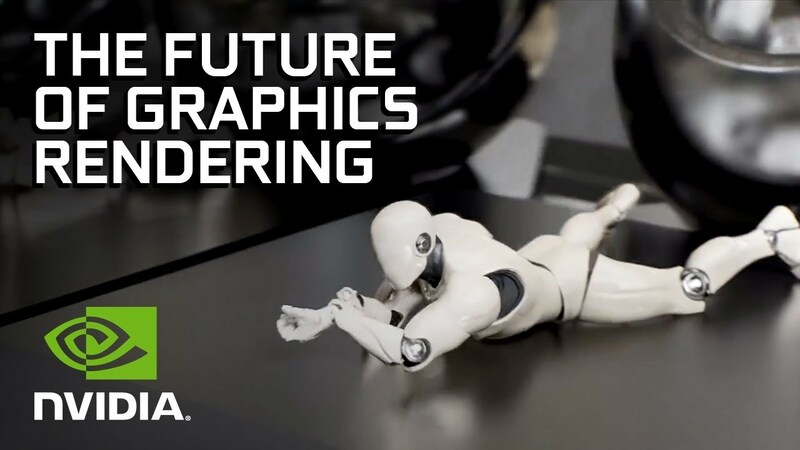 According to AdoredTv, the next lineup is expected to feature entirely new branding which would drop GeForce GTX in favor of GeForce RTX. So let’s start with the top card, the NVIDIA Titan RTX. This flagship Titan graphics card will be a semi-consumer product featuring a price of $3000 US, which is the same as the current Titan V. The total memory capacity is not stated but we can expect around 24-32 GB of HBM2 on the GV102 GPU core. This card may be very similar to the Titan V CEO edition but have a couple of changes in terms of clocks and core configuration. The performance is stated to be 15% faster compared to Titan V and 50% faster than the GTX 1080 Ti. The flagship GeForce card would be the GeForce RTX 2080 and yes, this rumors points to NVIDIA using the 20 series label instead of the 11 series which we have been hearing about since a while now. It’s a cause of confusion but only the launch will tell what NVIDIA will opt to use. 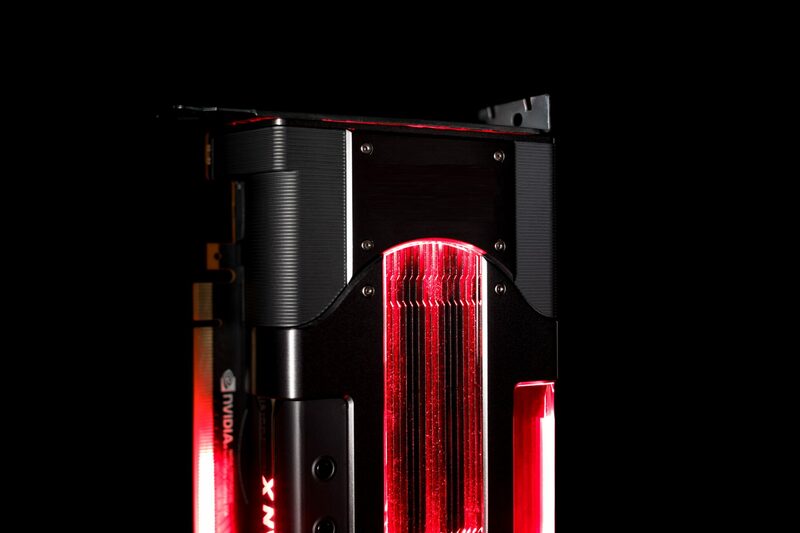 Regardless, the graphics card will feature the TU104 GPU, that’s Turing 104 for you. It will ship with 8 GB of GDDR6 memory, no issues there as we have seen boards with GDDR6 memory leak before and feature a price of around $500-$700 US. The GTX 1080 was priced at $699 US (Founders Edition) on launch so that much is also expected. The performance of this part is expected to be 8% faster than the GTX 1080 Ti and 50% faster than the GTX 1080. Do note this is a preliminary estimate for the reference variant. Both the Titan RTX and GeForce RTX 2080 are said to launch in August so we will get to hear more about them at either SIGGRAPH or Gamescom 2018. Next up, we have another GeForce RTX card, the RTX 2070. This card will feature the TU106 core and 7 GB of GDDR6 memory. This points to a 224-bit memory controller. It’s also odd since the GTX 1070 featured 8 GB of GDDR5 memory but well, we will see if there’s any truth to this in a few days. Moving on, the price is expected around $300-$500 US and performance is stated around 17% faster than the GTX 1080 and 40% faster than the GTX 1070. The card using a different core than the GTX 1080 also seems super fishy. The card is said to launch in September of 2018. There also seem to be two GeForce GTX parts in the lineup which include the GTX 2060 and GTX 2050. These cards don’t use the RTX tag and could be due to performance levels not being that sufficient to handle to handle Ray tracing features like the top-tier cards. These two cards will be shipping in November and will feature price tags of $100-$200 for the 2050 and $200-$300 for GTX 2060. The GTX 2070 would feature 5 GB of GDDR6 memory, again 1 GB less than the previous GTX 1060 which had various configurations of 6/5/3 GB GDDR5 VRAM. The card will be 27% faster than the GTX 1060 at stock. The GTX 2050, on the other hand, would feature the TU117 GPU core. The card would feature 4 GB GDDR5 VRAM and a performance rating of 50% faster than the GTX 1050 Ti. That’s it as far as this rumor is concerned but as a word of advice, please treat this as nothing more as most of this info or all of it could be fabricated for all we know. Let us know your thoughts about this rumor in the comment section below. Do you think this rumor makes any sense at all about the next-gen GeForce cards?